Fredd Gorham — Nuke-Con Special Guest Extraordinaire! Those of you who have been to Nuke-Con before need no introduction to Fredd. He is a long-time booster of this convention; it is his genius behind the Nuke-Con cover and t-shirt art, and he always has a kind word to say about us. 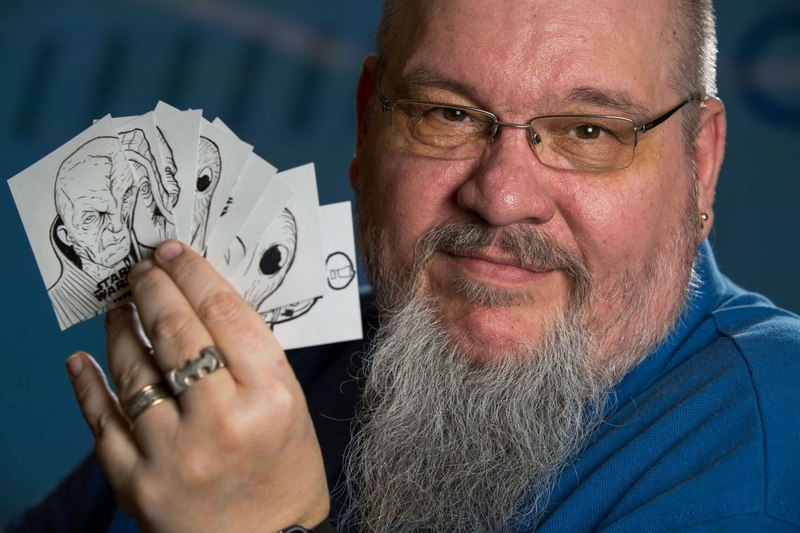 In his 25+ years as a freelance artist, Fredd’s work has appeared in publications from a wide variety of comics and gaming companies, including Marvel, DC Comics, Steve Jackson Games, Caliber Press, White Wolf, Hero Games, Silver Gryphon, Viceroy Cards, Breygent and Albino Dragon Games, among others. He has recently launched his own business, Steel Angel Studios, through which he sells his artwork and services. For the past decade, Fredd has hosted The Artist Jam, a once-a-month artist gathering held at Krypton Comics on the 3rd Saturday of every month from noon till 10 pm. It is open to everyone and is totally free. Fredd is also on the educational board of the Joslyn Art Museum, doing workshops on comics, drawing and visual storytelling for both kids and adults. Adventurers League players will be delighted to welcome Guest of Honor Shawn Merwin! 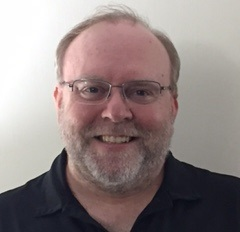 With an MFA in Creative Writing from Vermont College of Fine Arts, Shawn’s professional design, development, and editing work in the roleplaying game industry has spanned almost 20 years and over 4 million words of content. His Dungeons & Dragons work has ranged from 3rd to 5th edition, appearing in sourcebooks, adventures, articles, and Organized Play campaigns. For Wizards of the Coast, he has written Dungeon Delve, Assault on Nightwyrm Fortress, and Halls of Undermountain, as well as War of Everlasting Darkness and Against the Cult of Chaos for the D&D Encounters seasons. He has also co-written the D&D Open since its revival in 2016. Shawn has written material for Kobold Press, Pelgrane Press, Modiphius Entertainment, and Kenzer & Co., among others. Shawn is also the passionate host of the weekly D&D podcast Down with D&D.